TEMPOart is thrilled to announce that acclaimed artist Matthew Mazzotta will develop a site- and community-responsive public artwork for the Back Cove in summer 2018. In order to develop his project, the artist will be in Portland on Wednesday, June 21 to hear from YOU! For each of his projects, Mazzotta engages local community members in listening sessions he calls Outdoor Living Rooms, to share their visions for the specific communities in which they live. He then distills this feedback and develops a site-responsive project which addresses community members’ shared hopes and needs. These efforts have resulted in over a dozen community-specific public art and projects in the U.S., Europe, Asia and the Middle East. Mazzotta has received numerous awards and grants including an ArtPlace America Grant, and has been awarded a Loeb Fellowship at Harvard University’s Graduate School of Design for 2017-18. 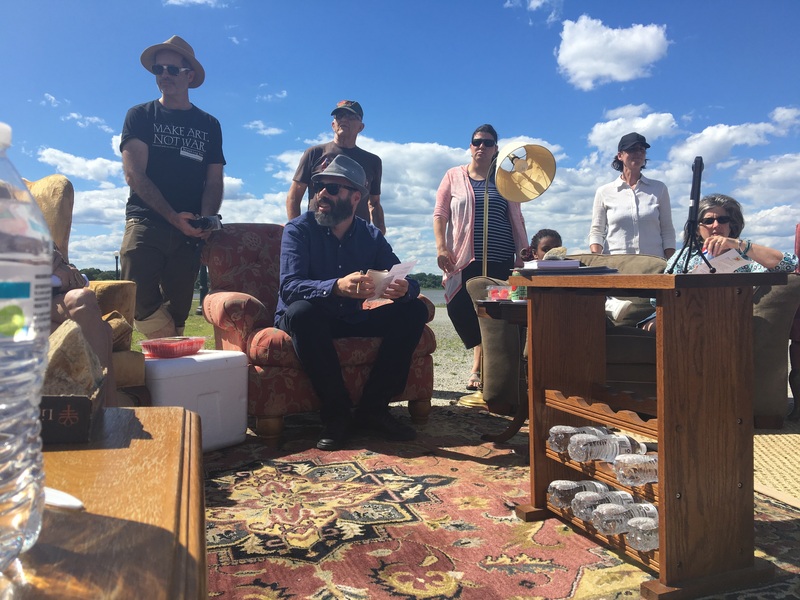 On June 21, Mazzotta will guide an Outdoor Living Room (time and place to be confirmed) for greater Portland-area residents to share and listen with the artist and with each other. Event will be outdoors, free and open to all – stay tuned for more details!